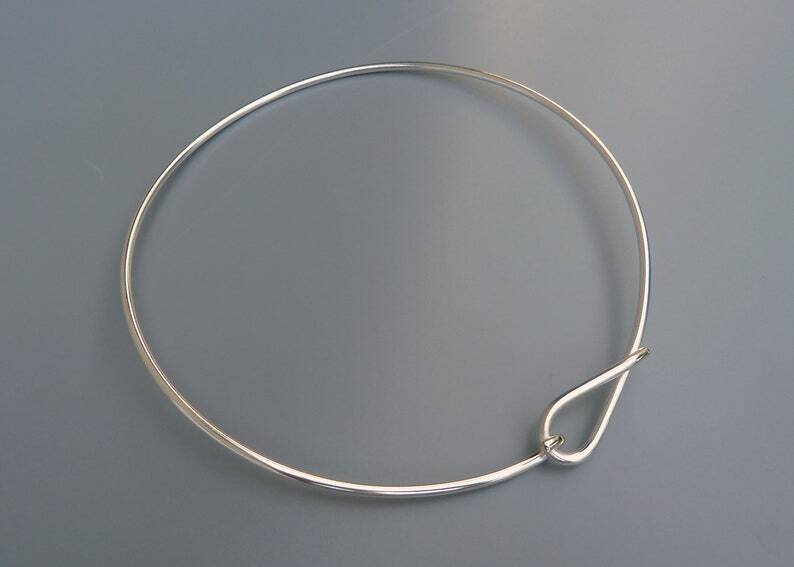 This listing is for a beautiful silver plated neck wire choker. This neck wire or neck ring has a round shape with a formed hook in the front to hold a pendant or charm. It can also be worn with the hook in the back. The necklace sits comfortably on your neck. This necklace looks just as lovely worn alone or with a pendant or charm. Note: Shipping costs are via USPS first class mail without insurance. If you would prefer Priority mail or insurance, please convo me before you make your purchase so that I can apply the appropriate shipping charges to the listing before you make your purchase.